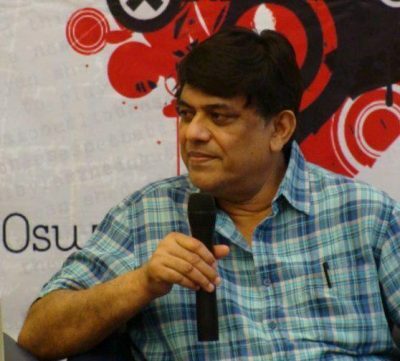 “It is word-of-mouth that puts your book on top of the charts.” says best-selling author Oswald Pereira in a literary interview with Sanjeev Sethi. A seasoned wordsmith, journalist turned author Oswald Pereira is a quiet man, but he waxes eloquently through his writings. He understands pace, he knows how to hook his reader with a turn of phrase or by employing language that is clear and crisp. Anyone who has read his journalistic pieces or his books is aware of this. Face to face with the author himself the creator of three worthwhile books: The Newsroom Mafia, Revenge of the Naked Princess and Chaddi Buddies. Sanjeev Sethi: Please tell us briefly about yourself? Oswald Pereira: Born in a small village called Kolbad, on the periphery of a quaint old-fashioned town Thana (now a thriving city renamed Thane), I led a simple yet idyllic life, mingling freely with kids of all religions, castes and classes. We are seven siblings – four brothers and three sisters – and I recall the cacophony in our not-so-big, independent house named Green Villa. I am the second eldest but that didn’t really give me an edge and I learned early in life that the best way to get things was to be both seen and heard. Bombay (now Mumbai) was a big city for us and as kids we went there once a year with my mother for Christmas shopping. As we grew into boys, a movie in a big theatre in Bombay was always a grand event; and we had to otherwise be content with watching movies in an ancient cinema hall in Thana town. We went to the only English medium school in Thana then, St John the Baptist High School, and my three sisters joined Holy Cross Convent High School that came up later. St Xavier’s College in Bombay, one of India’s most prestigious colleges, was the natural choice for our higher education. But being armed with a Bachelor of Arts in Economic (Honours) from Xavier’s, didn’t exactly fetch me good jobs. After being unemployed for a couple of years, I worked as a salesman in a weighing scales company and a storekeeper in a chemical company. I got my first break in journalism, in a small, little-known magazine and later worked for a few years in a crumbling newspaper, before I got my big break as a reporter in The Times of India, India’s largest English language newspaper. Then it was no looking back. I spent more than three decades, working in senior editorial positions in India’s top publications. Apart for The Times of India, I worked in Financial Express, and Outlook, a leading news magazine. I have also been editor of niche publications on infrastructure and defence. I was a popular teacher at The Times School of Journalism. My debut novel was the widely-acclaimed, best-selling crime thriller, The Newsroom Mafia, published in December 2011. 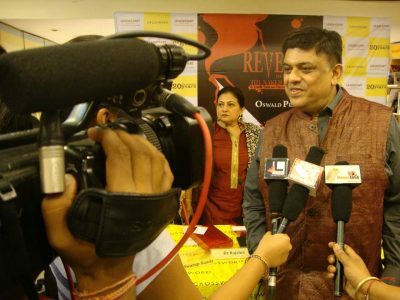 My second novel was the critically acclaimed historical thriller, Revenge of the Naked Princess, published in December 2012. My third coming-of-age novel, Chaddi Buddies, published in December 2015, has received good reviews in the media. SS: How do you see your journey from a successful journalist to a full-time author? OP: In school, I did well in English and scored the highest in essay writing. In college, too, my writing was appreciated and my essays were read out in class. From a young age, I dreamt of becoming an author. Before I became a journalist, I had written two novels. The first novel was liked immensely by the editor of a top publishing house in Bombay, but the chief editor turned it down. Then the daily high of writing stories in a newspaper, and, sometimes seeing your byline flashed on the front page of a newspaper, buried my aspirations of becoming an author. When I called it a day in journalism, the urge to become an author was rekindled. 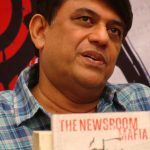 The result was The Newsroom Mafia, a bestselling, hugely popular book that tells the story of the unholy media-mafia-government nexus, the first book on the subject. My experiences in journalism came handy while writing the novel; and reviewers have said that the dividing line between fact and fiction is rather fine in the book. 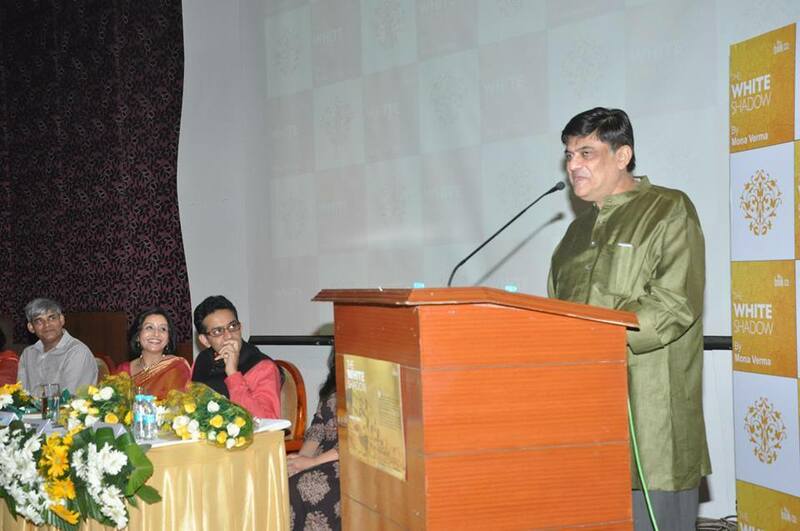 So, I see my journey from a journalist to an author as a homecoming – a return to my first love of creative writing. SS: What are the pleasures and pitfalls of being an author? OP: As an author you create characters, build stories by imagining situations; and develop environments for your characters and story to come live. While you are writing, you virtually live the life of the people that you have created, imagining yourself in their shoes, empathising with them. I can’t say that writing gives me pleasure, in the literal sense of the term. But yes, it gives me great satisfaction; and a high that can’t be found in the best of spirits. The biggest pitfall of being an author is ego – imagining that you are the best, because you have written a book. Hey, there are many authors around; and each of one of them is good and has a dedicated readership. Falling into the trap of saying, ‘I am proud to be an author’ is a rather dangerous thing. SS: From a crime thriller to a historical thriller and recently to a coming-of age novel what makes you decide on the topics you choose to write on? The story of my historical thriller, Revenge of the Naked Princes, seemed to be buried in my subconscious. The book is a dark story on forced religious conversions, and our ancestors being converts, there was some subterranean force that seemed to prompt me to write the story. Everything in the book was imaginary, but the story flowed like a gushing spring and the characters sprung alive. Chaddi Buddies, a coming-of-age story, is loosely based on my childhood. The book’s message is clear and simple: How we leave behind our best childhood friends, because success and not friendship is what seems to count in today’s world. SS: Your books have always got media attention. How essential is it for an author? OP: Media attention is essential, but more important is creating a rapport with your readers. A book doesn’t sell because of media coverage. It is word-of-mouth that puts your book on top of the charts. 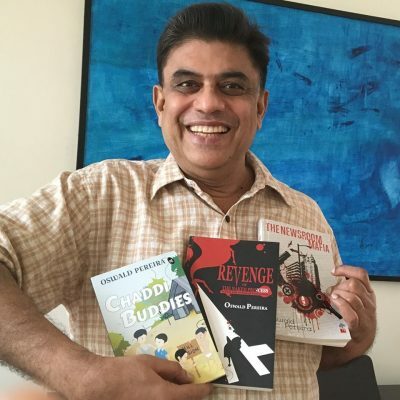 OP: Two of my books – one a collection of essays by spiritual gurus and thought leaders, and the other, a light-hearted crime thriller are being considered for publication. I am now working on a romantic comedy. I am the author of three novels — The Newsroom Mafia, Revenge of the Naked Princess and Chaddi Buddies. My romance with books began in my early teens. But the first books I read were surprisingly not mushy romances or silly detective novels, but the great literary classics and ‘heavy’ books on philosophy, psychology and self-improvement. I began reading thrillers and paperbacks much later in life. I always wanted to be a writer, but since publishing works of fiction was so difficult in a country like India, I chose what I thought was the second best option — becoming a journalist. I have more than 30 years’ experience in journalism and communications. 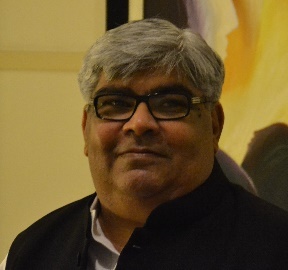 Sanjeev Sethi is an acclaimed poet from Mumbai (India) with 3 poetry collections to his credit: This Summer and That Summer; Suddenly for Someone; Nine Summers Later.